A Jacksonville motorcyclist lost his life when a driver pulled out in front of him causing a deadly collision. The 28-year-old victim was riding his motorcycle on San Juan Avenue when the driver of a sedan pulled out of the parking lot of a convenience store and collided with the motorcyclist, according to CBS 47 News. If that was not bad enough, the driver reportedly fled the scene of the accident, though, he returned later. This is a heartbreaking accident. In the blink of an eye, a young man with his whole life ahead of him had that bright future extinguished due to the carelessness of a motorist. 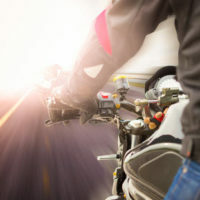 Florida has the dubious honor of leading the country with the most motorcycle accident deaths, according to the National Highway Traffic Safety Administration (NHTSA). In fact, motorcycle accidents accounted for nineteen percent of total motor vehicle deaths in the state. This is despite the fact that motorcyclists only account for about seven percent of motorists, according to wctv.tv. In 2015, over 600 motorcyclists were killed in accidents, which represents a 30 percent increase from 2014. Nationally, the numbers are just as troubling. For example, close to five thousand people lost their lives in motorcycle accidents in 2015. That represents an 8.3 percent increase from 2014, according to NHTSA. The reported accident data means that a motorcyclist in America is 29 times more likely to die in an accident than someone in a sedan, pickup truck, or SUV. Motorcyclists are also nearly five times more likely to suffer serious bodily injuries. When someone is involved in an automobile collision, the extent of bodily injuries is generally dictated by the severity of the crash. For example, a head-on collision that occurred on a highway will likely have more severe injuries than a fender bender that occurred in your neighborhood. However, when a motorcyclist is involved, even low-speed accidents can have serious consequences. This is because motorcyclists are fully exposed to the force and impact of a collision. And Florida is a state that does not require a motorcyclist to wear a helmet, which only increases the likelihood of suffering a catastrophic injury. Head injuries, including a traumatic brain injury or severe head wound. This is one of the worst injuries someone can endure in an accident because a head injury can have life-long implications and result in a significant diminishment in your quality of life. Spinal cord injury. This type of injury can leave someone partially or completely paralyzed. Broken bones that may require months to fully heal, if ever. Broken bones can also force someone to miss a significant amount of time from work, which places major financial strain on the victim. Back injuries, including herniated discs and torn ligaments. When someone suffers a herniated disc, surgery may be required to correct the damage. As you can see, the injuries suffered by motorcyclists can be severe and debilitating. Gillette Law, P.A. is here to help. Put us to work so we can pursue the most monetary compensation possible for your harms and losses. Contact our office today to schedule a free, confidential case review. Charlie Gillette founded Gillette Law, P.A. in 1995, stating as its mission a commitment to provide the highest quality legal services in a manner that is timely and sensitive to the individual needs of each client. Question: What do I do after an accident? Answer: The most important thing you can do after a car or truck accident is to seek medical treatment for any injuries you might have sustained. We at Gillette Law believe in giving back to the community and helping families in need. Visit the Our Firm page for recent event photos. and Brunswck, Georgia, serves clients in Florida and Georgia. Are Wolf Hybrids Legal in Florida? Gillette Law, P.A., located in Jacksonville, Florida and Brunswck, Georgia, serves clients in Florida and Georgia. © 2015 - 2019 Gillette Law, P.A. All rights reserved.